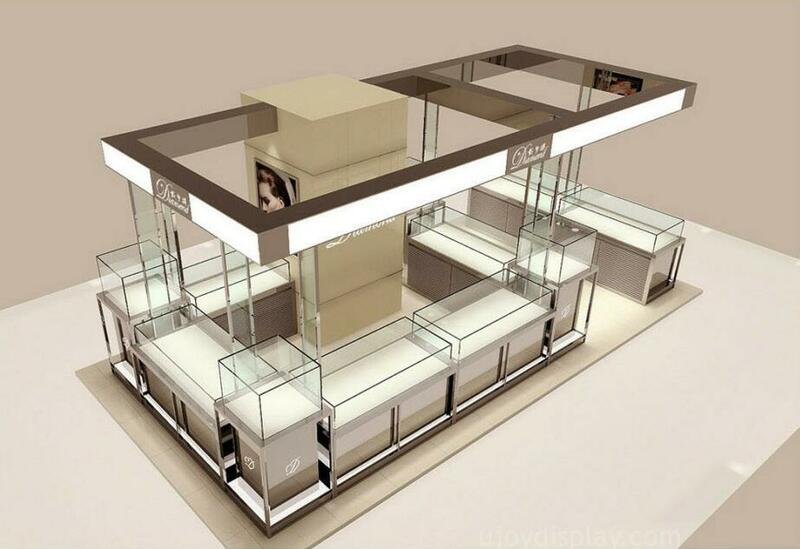 Jewelry kiosk are mall used small jewelry shop installed in the middle of shopping center fro jewelry retail. 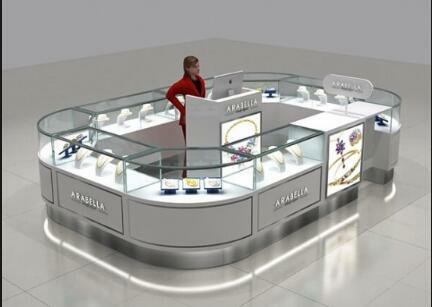 Most of mall used jewelry stall are sell gold, silvery , jade and diamond. Some are selling high level gift as wrist accessories or necklace . 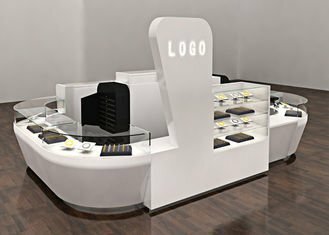 No matter what types of jewelry business you are managing. 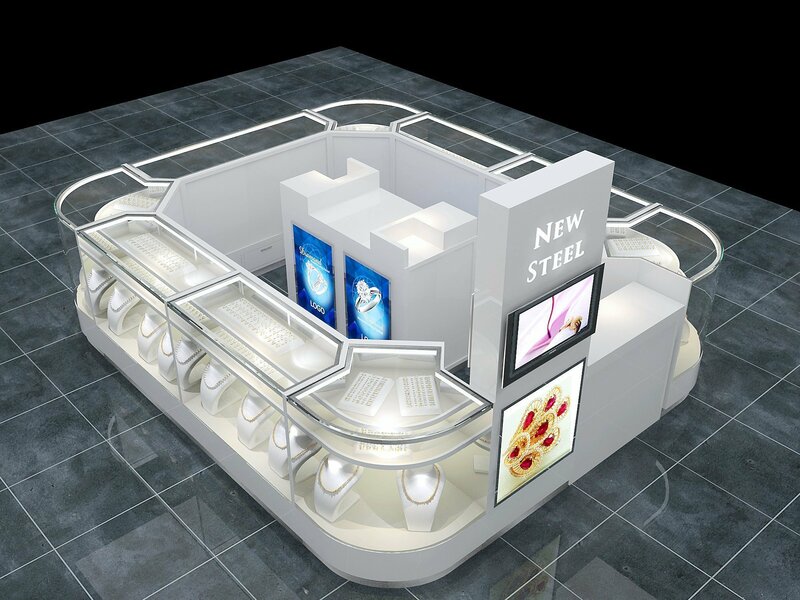 A nice design and high quality commercial shop furniture are necessary. 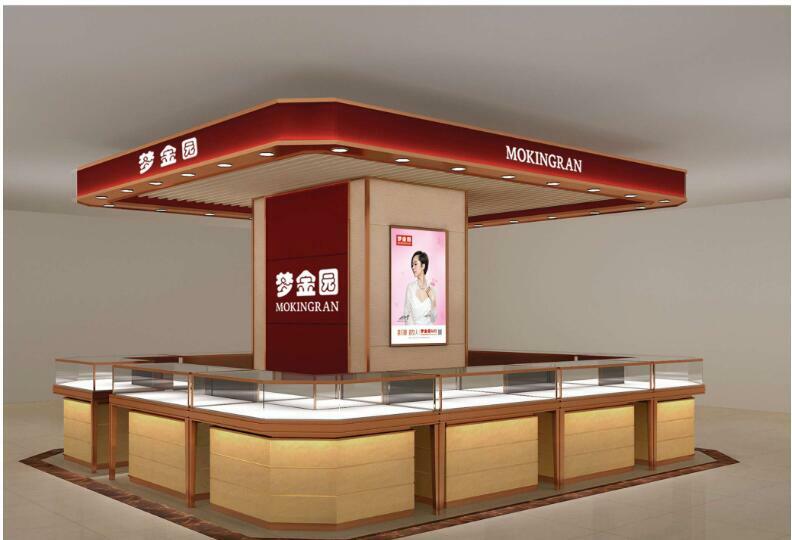 Jewellery retail is very popular in the shopping mall. 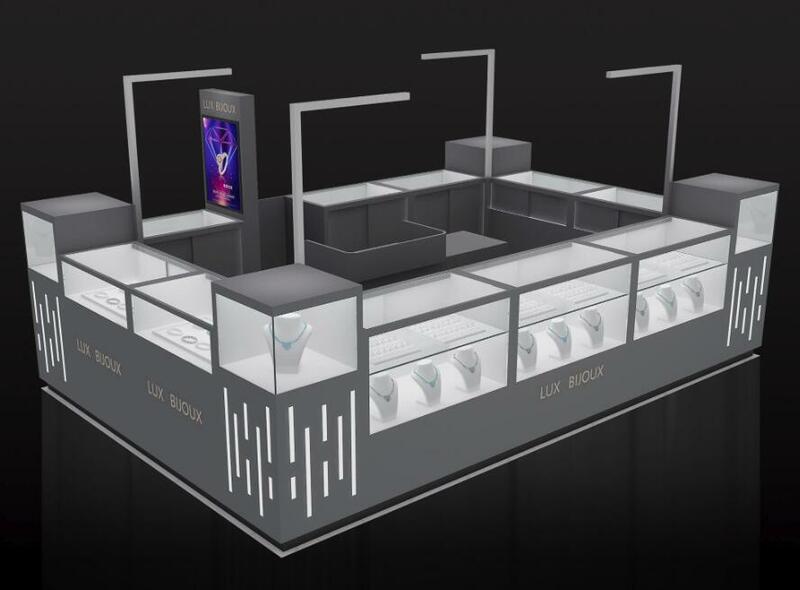 Almost every mall will have jewelry display counter or shops. 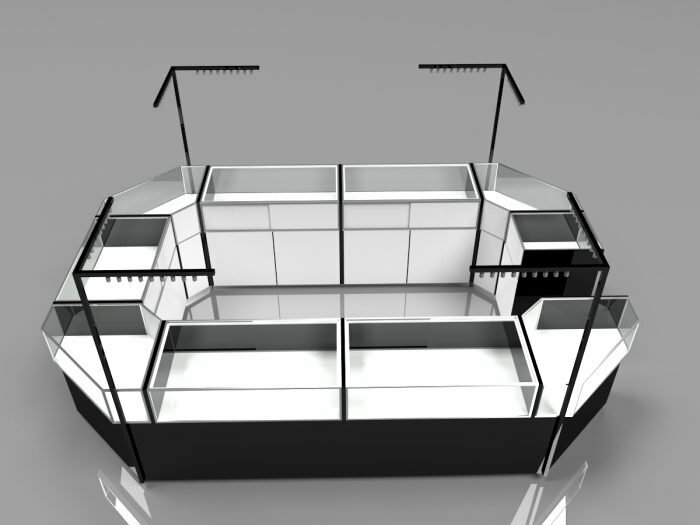 You can even start a jewelry RMU cart with a retail merchandising unit. Or portable jewelry carts. 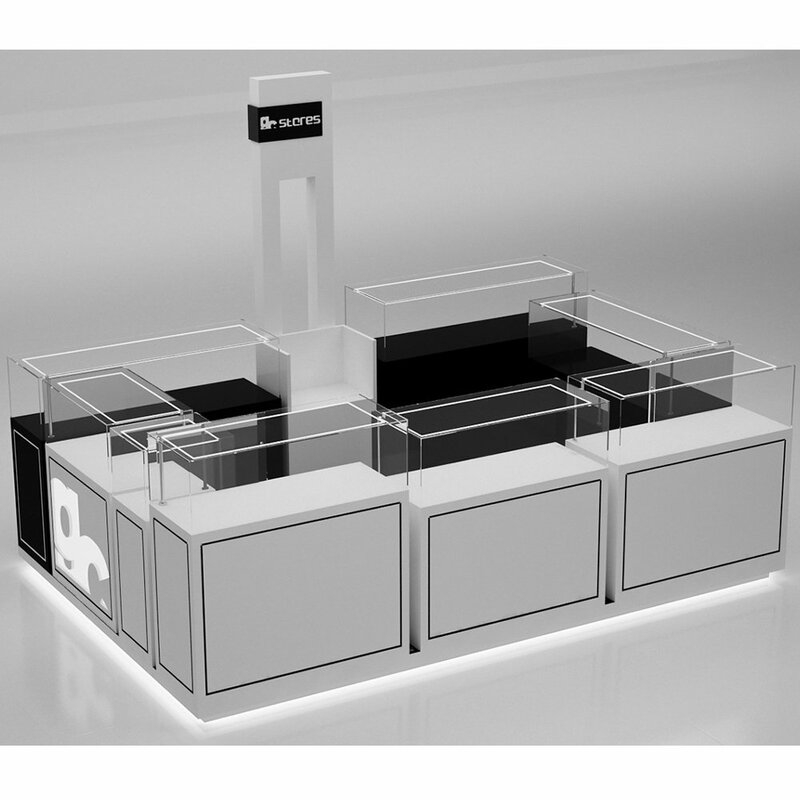 So what is a jewelry display cabinet? 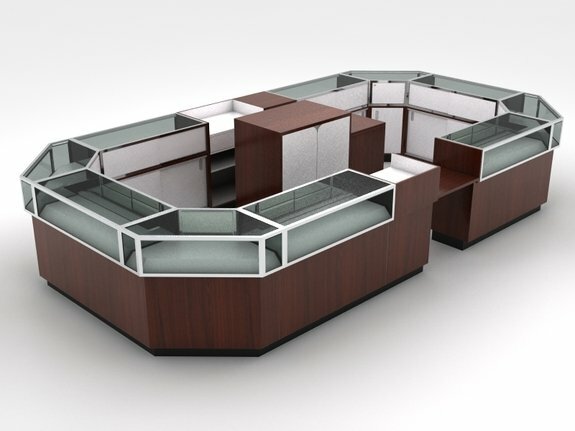 Where to find a jewelry store furniture? 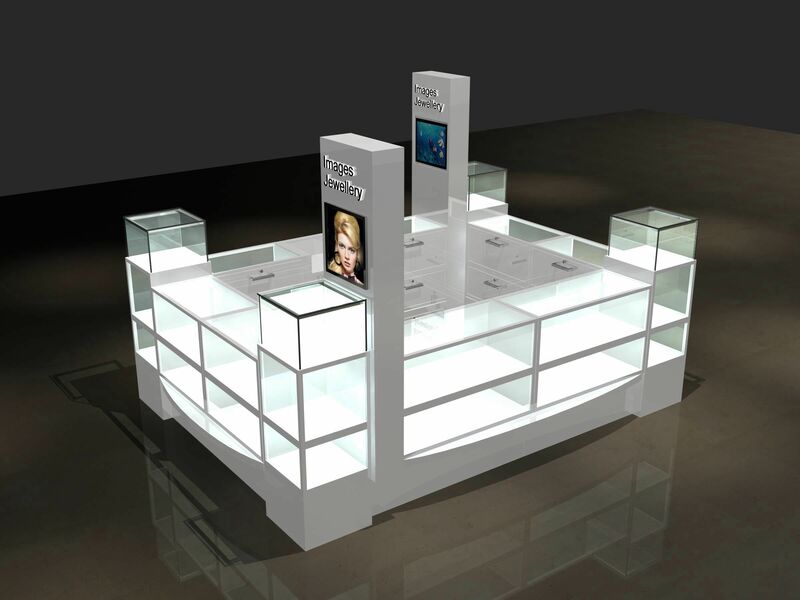 How much is a jewelry display for sale? 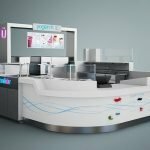 UNIQUE KIOSK is a leading professional mall retail kiosk and jewelry shop furniture manufacturer. 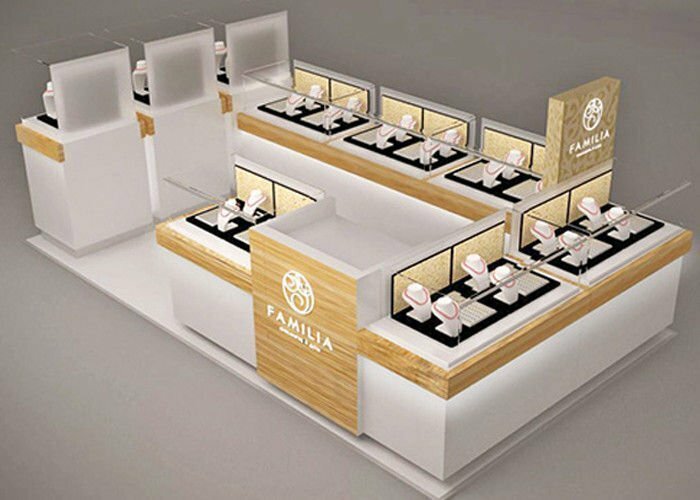 If you want to open a jewelry kiosk in a mall or you want to build a jewelry shop. 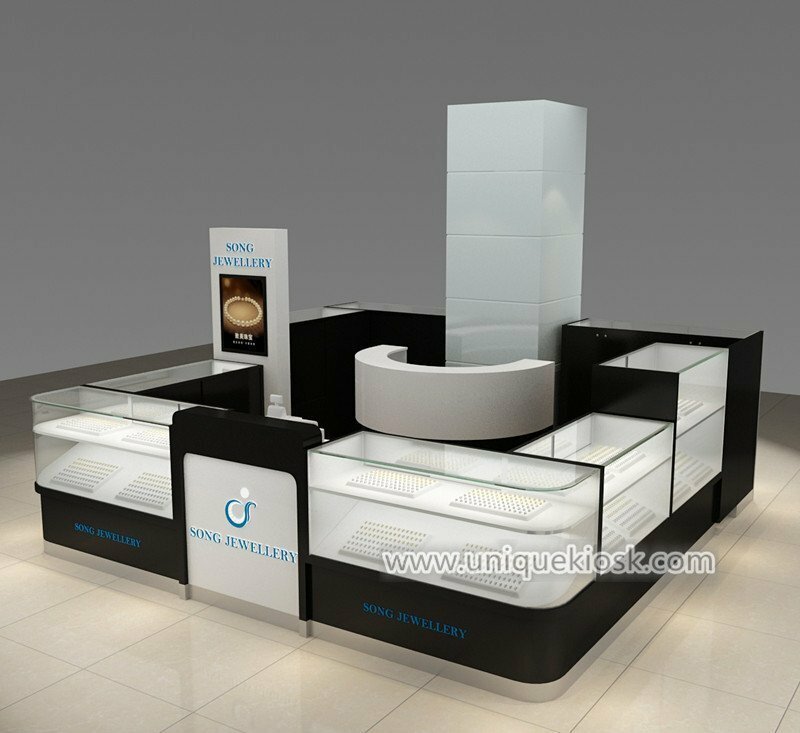 UNIQUE will bring a great help and service with high-quality jewelry display case for you. 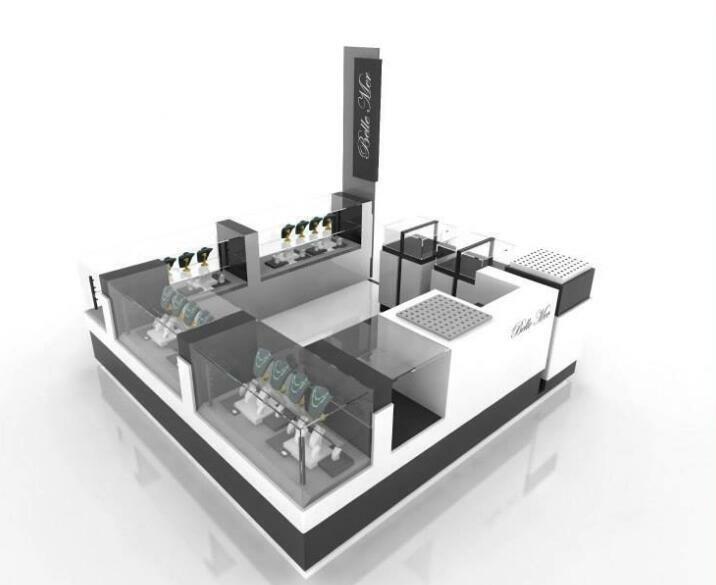 How to Start a mall jewelry stall business? 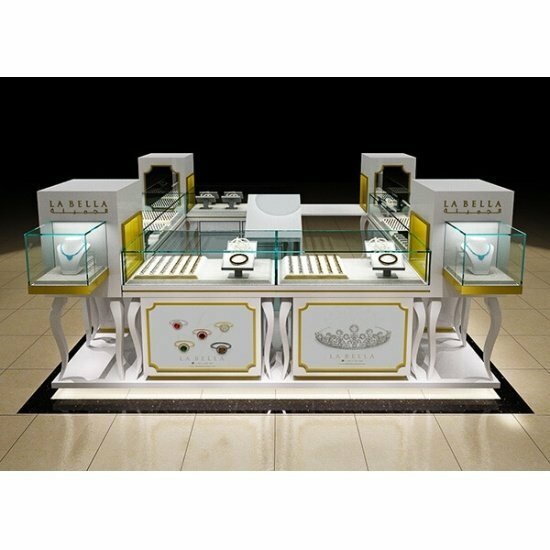 Our Main display furniture on jewelry retail is jewelry display, jewelry shop furniture, and jewelry showcase. 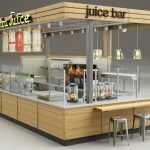 Before you can get all those products, the first of the first thing is to make a unique design for your kiosk and store. 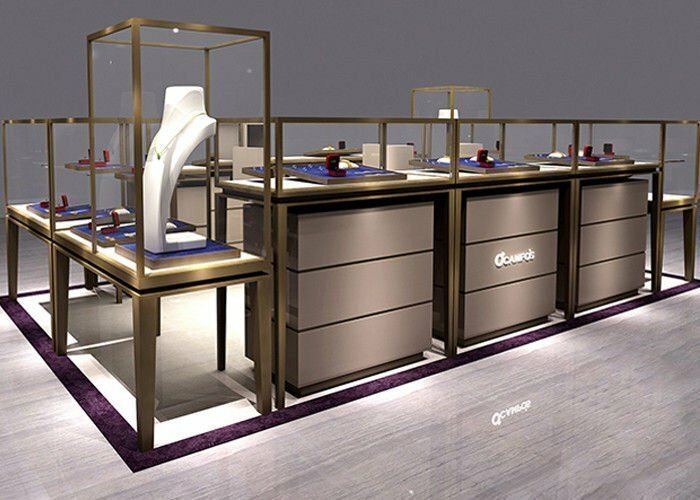 Unique has 15 experienced designers who have been in jewelry kiosk and shops design for many years, we familiar with all the material and structure, and we know the latest design ideas and advanced manufacture knowledge. 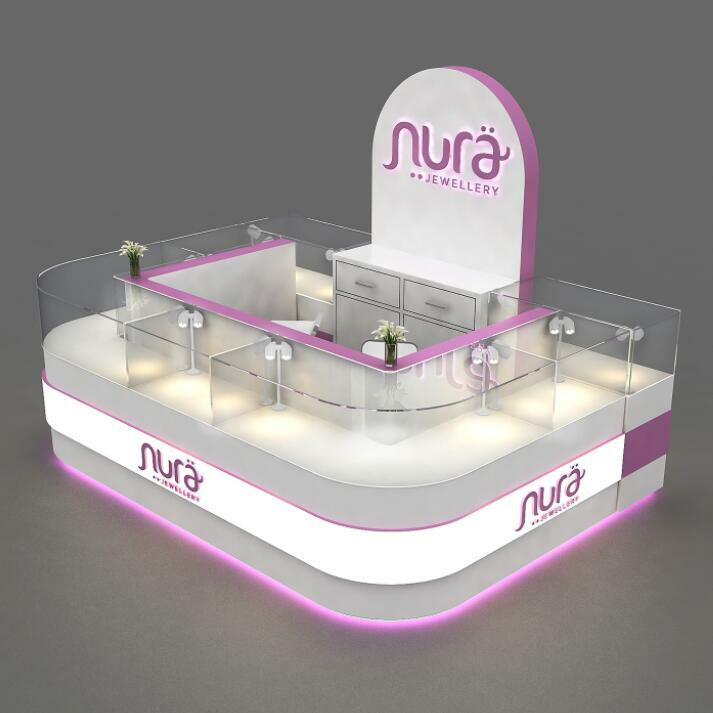 We can offer you a unique jewelry interior shop design and fantasy jewelry displays. 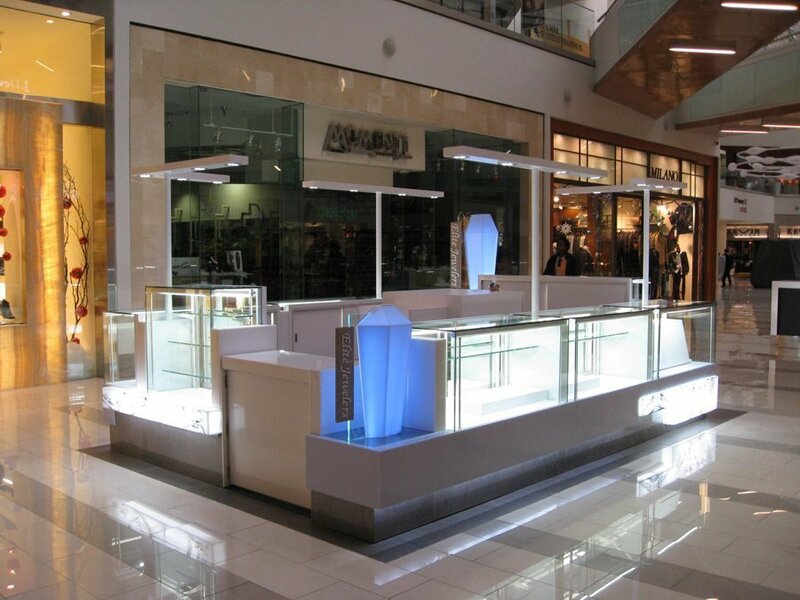 You can start a jewelry retail kiosk or jewelry repair kiosk in mall. Both of them are very good business ideas. 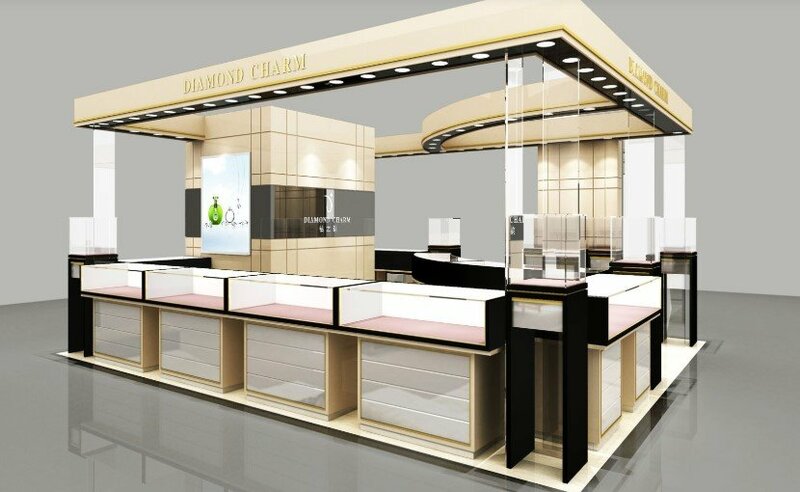 In a jewelry shop, you can sell many different products, such as fake Jewelry or artificial jewelry, diamond, gold, platinum, jade, silver, emerald amber necklace, etc. 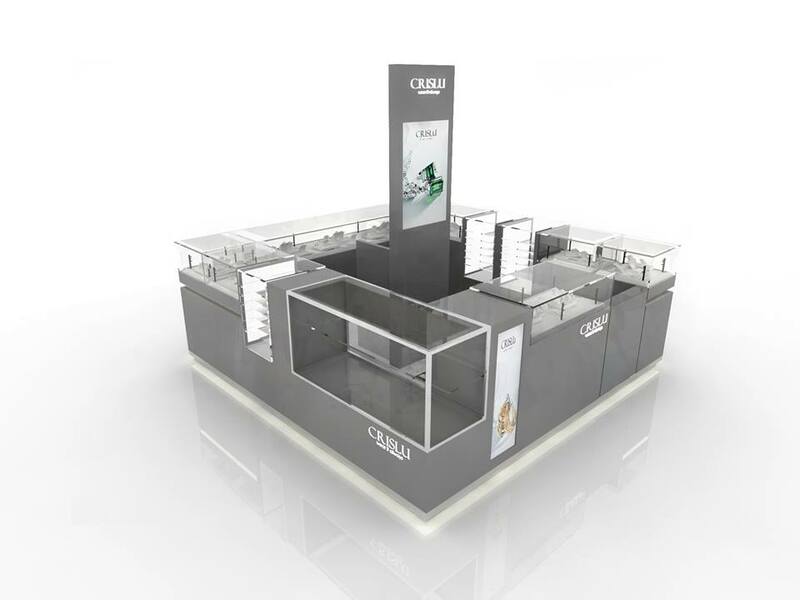 In order to run a good jewelry business in the mall, Before you take an action on the chosen idea. Make sure you have full market research and well business plan. 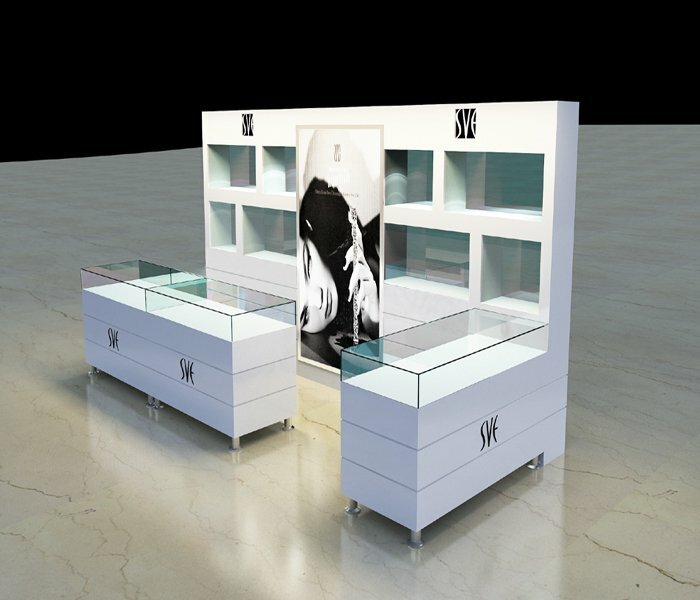 If you want to get a high-quality jewelry cabinet counter with lower cost welcome to visit us.